The clasp is often overlooked but it’s a very important part of the jewelry. The style of the clasp has also been used to identify just how old a piece of jewelry is. Some of the earliest styles were used throughout the Victorian era. When undertaking some craft projects, identifying the right types of clasps is important. Scroll down to know all about these various types and how each one is used. 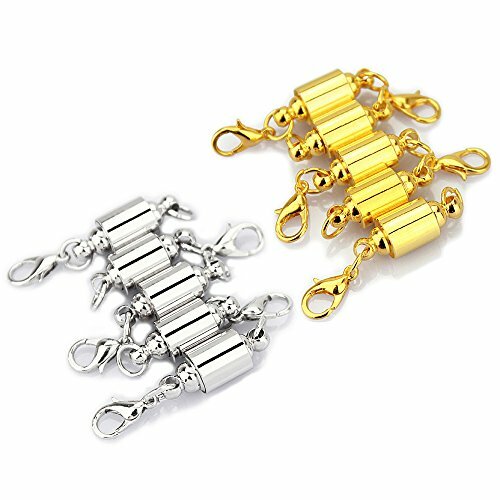 Although not used very often when making jewelry, this is a regular chain clasp that has a stringed chain at one end and the device itself on the other end. If you’ve ever put together a small chain, you’ll know how to put these types of clasps together. 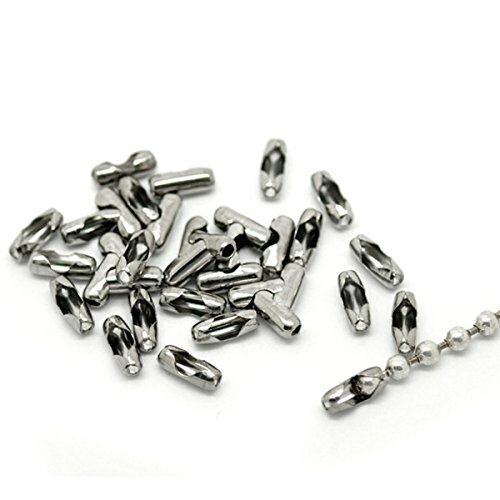 These are, sometimes, used on bracelets or necklaces that contain only one pendant, bead, or even dog tags. Barrel clasps have two pieces to them that are screwed together to close the jewelry piece. Since each section looks like a barrel, this is how it got its name. 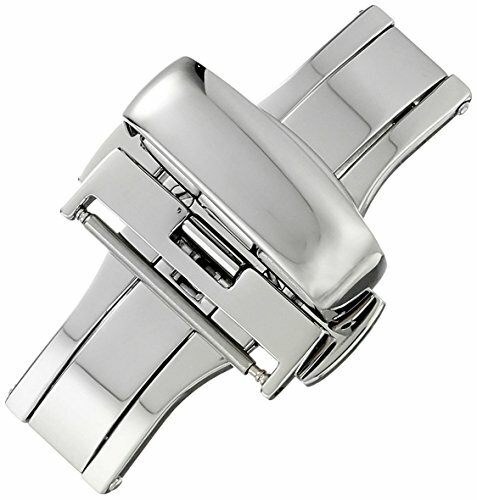 They are versatile clasps and come in numerous finishes and sizes. Many of them are even decorative, although most of the time they are found in either gold or silver. One of the few disadvantages of barrel clasps is that you have to have two hands to close them, making it a little awkward on jewelry such as bracelets. They are also inconvenient if you have problems with dexterity, have arthritis in your hands, and otherwise cannot work with small items. Box clasps are quite fancy, and they consist of a tab that is inserted into a decorative box of some type. They often have some type of safety measure to make sure the clasp remains closed and secure, and they are very popular in more exclusive jewelry, including tennis bracelets and bracelets that are hinged. The safety part can also be adjusted to make it tighter or looser, meaning you’ll always get the perfect clasp for your piece of jewelry. Fishhook clasps are a tad glamorous but aren’t as popular as other types of clasps. At one end is a metal hook, and at the other end is an oval-shaped box. To close your jewelry, you simply fasten the hook inside of the box, so when it’s closed, you won’t be able to see the hook. Sometimes, these clasps even lock because there is a spring mechanism inside of the box. Better for bracelets than necklaces, these clasps are nearly impossible to open and close with one hand, but they often provide a lot of aesthetic value to the jewelry. This is because they can be adorned with diamonds and other gems, making them quite fancy. Lobster clasps are so named because they look like a lobster’s claw. This type of clasp is spring-loaded and self-closing. If you wish to open a lobster clasp, you push down on the lever with your thumb, causing the “claw” to swing inward. If you release the lever, the clasp will close. One of the things that makes these types of clasps so versatile is that they come in a wide variety of styles and sizes. 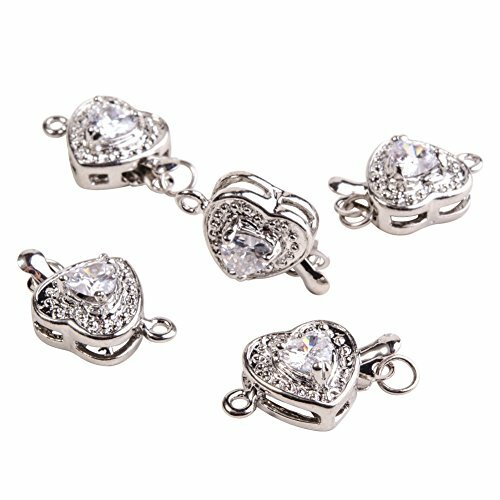 There is even a swivel type that enables the clasp to rotate 360 degrees without making it inconvenient for the jewelry piece. This is why lobster clasps are often found on anklets and bracelets because these pieces get a lot of movement on any given day. For light- to medium-weight jewelry, the lobster clasp is perfect, although a heavier clasp is better for heavier pieces of jewelry. Like its name suggests, these clasps are made of two pieces that each contain a magnet. This is how the jewelry snaps together, and it does an excellent job of locking the jewelry securely in place. Magnetic clasps come in all shapes, styles, and sizes. They can be small, delicate, and round, or large and rectangular. They can also be texturized or contain rhinestones and other decorations for aesthetic value. With a push-button clasp, you simply lock one side of the clasp into the other, and it locks as soon as you do this. If you want to release the clasp, you have to press either a lever or a button to do so. Push-button clasps can be gold or silver, as well as various sizes and styles, and they are also one of the most secure types of clasps made. 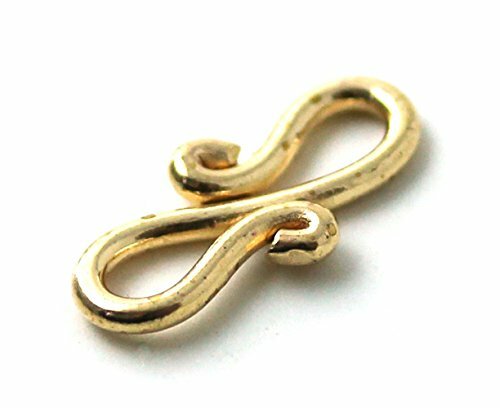 S-hook clasps are one of the oldest types of clasps known to jewelry makers. 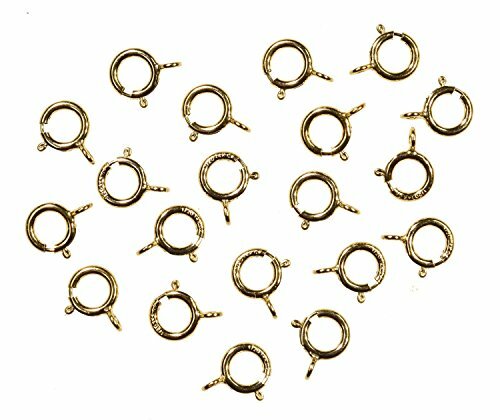 They are made in a simple S shape, and you close the jewelry piece by slipping a small ring onto the S-shaped part. They can be basic or very fancy, and they also lend a little elegance and ambiance to your jewelry. With S-hook clasps, you have to make sure the hook itself is tight enough so that the ring goes into it without slipping off, and you also have to be careful that the hook is shaped so that it doesn’t catch on anything, including clothing, towels, and other objects. This means making sure the hook part is smooth and doesn’t stick out too far, because this is usually what causes it to catch on something. These are almost always used on multi-strand bracelets and necklaces, because each side contains a long tube with rings for attaching various types of strands, including thread, cord, chain, or wire. To use it, all you do is slip one tube slide into the other, and it locks in place. This clasp is one of the most common types of clasps, and it is found in both jewelry pieces and other products. It is a metal ring made with a spring mechanism, and you simply pull back on a lever, which compresses the spring. It then leaves a hole that allows you to slide a small tab or jump ring inside of it. When you release the lever, the clasp automatically closes. This type of clasp is also very secure because it is virtually impossible to have it accidentally open while you’re wearing your necklace or bracelet. The only disadvantage of a Spring Ring clasp is that it is usually very difficult to put on a piece of jewelry with just one hand. If it is extra small, it can also be difficult to handle the ring, but it is still the perfect option for most everyday jewelry, mainly because it is both inexpensive and reliable. You will always recognize a Toggle clasp because of its unique design. It actually consists of two very different pieces, including a long bar or “T-shaped” rod, and an open shape that is usually in the form of a circle. To close the jewelry, all you have to do is slip the rod through the circle and it locks in place. Toggle clasps come in many different sizes and can be either plain or quite decorative. In fact, many Toggle clasps are made simply for aesthetic purposes and are sometimes there just as a decorative accent. The best jewelry pieces for Toggle clasps are those with a heavyweight because this means the rod won’t slip back out while you’re wearing it. In fact, this is one of the few disadvantages of using Toggle clasps, because they will occasionally come undone while you’re wearing the jewelry.